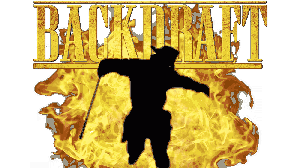 What is a Backdraft and how does it work? Last week we talked about flahovers. Today, we wanna explain show another dangerous phenomenon that happens when a house is burning. Did you know what is a Backdraft? A backdraft is a dramatic event caused by a fire, resulting from rapid re-introduction of oxygen to combustion in an oxygen-depleted environment; for example, the breaking of a window or opening of a door to an enclosed space. Backdrafts present a serious threat to firefighters. There is some controversy concerning whether backdrafts should be considered a type of flashover.